Amid the teaching, coaching, parenting, committee work, and other responsibilities, writing a book takes a lot of time. 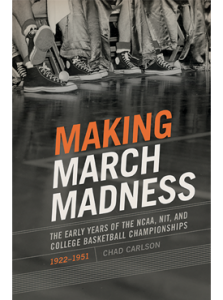 Recently I completed Making March Madness, which is set to land in bookstores by the month’s end. This book has taken me four years. And I can’t imagine spending that much time on a topic that wasn’t of great personal interest to me. In fact, if I wasn’t totally enamored by the spectacle of March Madness, I would not have written the book. I love everything about March Madness–the seedings, the upsets, the buzzer beaters, and the bracket pools. Yet no one had researched the tournament’s origins before. So in some sense I got lucky that one of my great interests in life was an area in sport history that had not been studied. I was able to collect some materials from archives around the country that nobody had ever looked at. 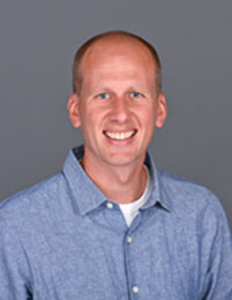 And to top it off, I found evidence that discredited what many sportswriters argued: that the National Association of Basketball Coaches sold their tournament to the NCAA for $2,500. If that had happened, so the sportswriters say, it would have been one of the best bargains in the history of sport (the tournament is worth billions now). The history of that transaction, though, is much more complex. So I guess I’m trying to “upset” the conventional wisdom. If you read Making March Madness, maybe you’ll agree with me. It’s a “bracket-busting” position! Congrats on accomplishing this passion of yours! I’ll be getting my copy soon and will be comparing your research with my love of the game!